Ena Squire-Brown, an international dancer famed for her Dove Dance, leaves her recently bombed home for St George's Church in Forest Hill, to marry Royal Air Force flying officer J.C. Martin in 1940. 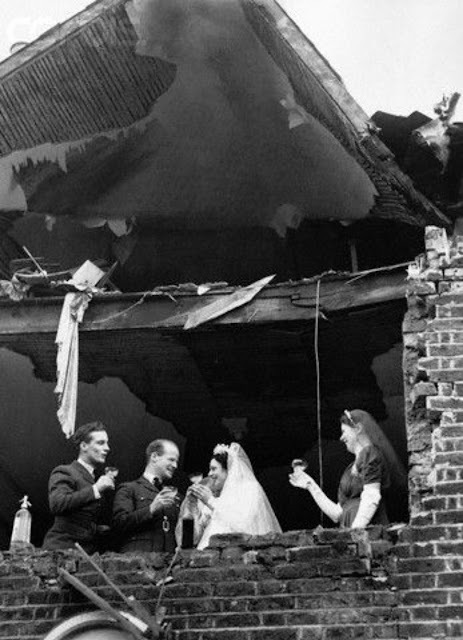 The wedding of officer J.C. Martin and Edna Squire Brown, in a bombed out building, November 5, 1940. The wedding of Arthur Oxford and Georgina Wright, of nearby Barking Road, in St. Barts PS. 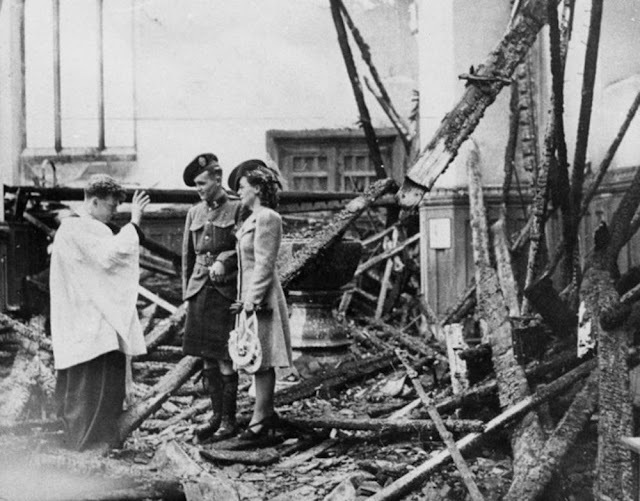 Helen Fowler, 20 of Caledon Road, East Ham and her Canadian soldier sweetheart, Cpl. 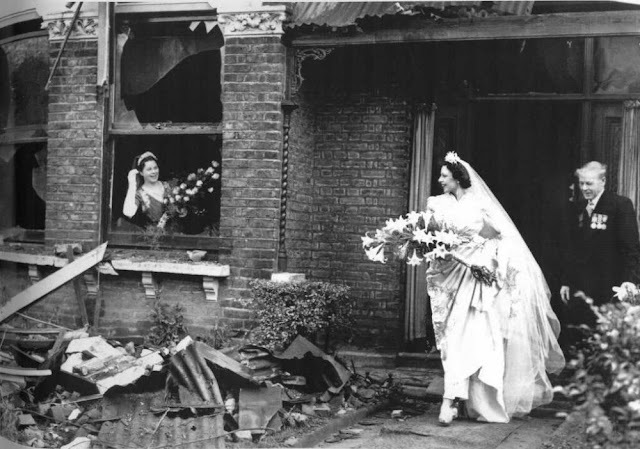 Christopher Morrison, aged 21 of the 48th Highlanders stood proudly amid the ruins of the bombed-out church and made their wedding vows. 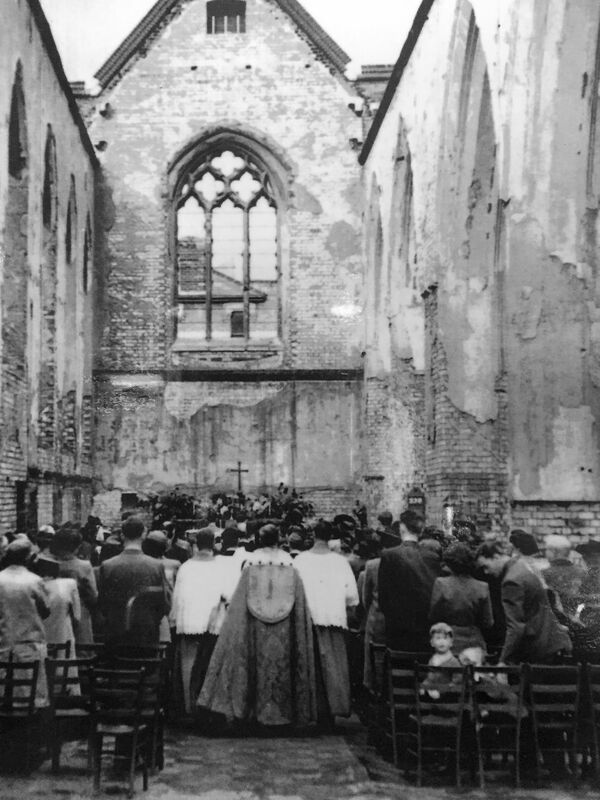 Wedding Ceremony of Fusilier Tom Dowling and Miss Martha Coogan in a bombed out London Catholic church. 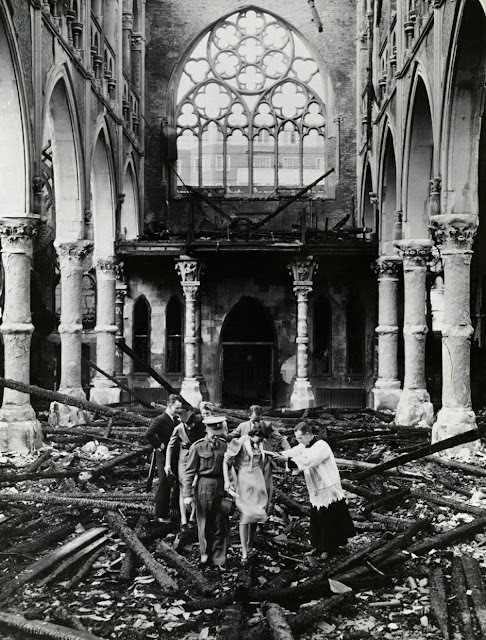 September 14, 1940.